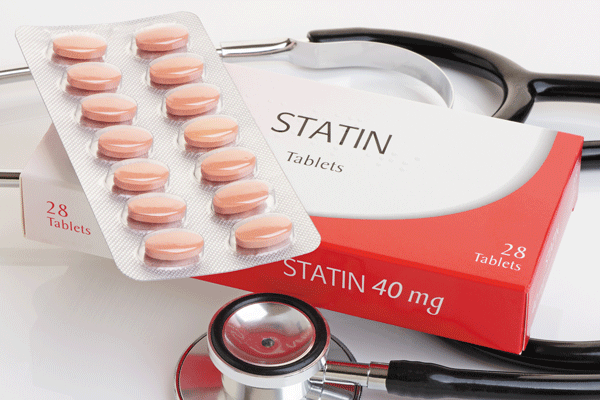 Statins can lower heart disease risk dramatically, but certain cautions apply. Nearly a quarter of all adults over age 40 take medication to treat high cholesterol, and most often, it's a statin drug. However, with such widespread use, especially among people who may have other cardiovascular risk factors, an un-wanted interaction between a statin and another medication can occur. For this reason, the American Heart Association recently issued a statement to help doctors better navigate medication choices for their patients. The term "drug interaction" is somewhat misleading. Typically, drugs do not chemically react with each other in the body. Instead, a drug, supplement, or food may affect how long a medication stays in the body, often by stimulating or inhibiting the production of specific enzymes in the liver or intestine (see "The truth about grapefruit juice").